I follow many other blogs, and I’ve regularly been reading one called Living well with Lewy Body Dementia written by a chap in the UK, Ken Clasper, and another called D4Dementia written by Beth, a friend of mine in the UK. Posted on Ken’s blog today, was his response to the article Improving dementia care: ask those who have lived with the illness written by Beth and published in The Guardian. Please swing by and read their blogs, and Beth’s article. In short, they write about the consumer being the real expert, and how rarely we are listened to. A few weeks ago I attended a meeting in Sydney, and discussed at length was the label ‘consumer’ given to people with dementia or consumers of other health services. It was being questioned as to whether it was appropriate, respectful or offensive. One of the service provider groups, Helping Hand SA said they are now calling their consumers ‘Care recipients’. I’d have to say that label is little different to consumer, and not any more respectful. During this discussion, I ventured to say that consumers are in fact, the real experts, and later in the day the Chair of the meeting said she agreed with me. This week I also attended a ‘consumers’ forum reviewing a draft of the SA Framework for Recognition and Management of Challenging Behaviour of patients in the acute hospital setting. Many consumers said they have always been ignored, or worse, chastened, when having an opinion about their own state of health, when in fact, they have been living with a particular chronic illness, some all their lives, and often know as much about their own bodies as the doctors or nurses. 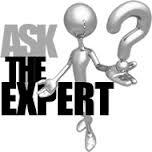 They too felt they are the experts, rather than ‘just’ a consumer as many of us have had said to us. Naturally, following on from my Language and dementia blog from Monday, I challenged the use of the work Behaviour, and suggested it could be changed to Communication, which all of the expert consumers agreed with, as they too felt this word stigmatises and negatively labels patients even further. Yes, there is still a lot of work to do on reducing the ignorance, stigma, discrimination and isolation felt by so many expert consumers, but as we start to speak to each other, and collaborate further, our voice will get louder and stronger. I am less despondent about positive change, especially for people with dementia than I was even a few weeks ago. I have even had some small wins this week, which I will report on when appropriate. There is also a small group of ‘others’ [professionals, researchers, service providers, even a few doctors] who are starting to listen, and as their voices join forces with ours, we will be given more respect. And as more research is done on the positive effects on health care consumers of self advocacy, and of non pharmacological and positive psycho social interventions, there will be no turning back. We all need to start believing, we are the real experts, and no longer willing to be labelled ‘just’ consumers to be ignored. Hope is critical, Kate. Without it, dementia patients, their carers and families would all implode. Hope and positive thinking are fundamental to well-being – and your positive outlook is such an inspiration. This consumer mumbo jumble just muddies the water, confuses the issues, maintains the status quo. It’s not that there is a parallel moment to give and protect and ensure we our rights are protected, those right are honored, those rights are monitored. And as we become less and less able to do this for ourselves, “they” become more creative in figuring out ways how to communnicate us and support us. Nope, we are afterall in their eyes fading away, and just give us time and we will go away and still remain here both at the same time…the inevitable “shell” of ourselves as others refer to those in the later stages of dementia. We don’t always buy but we always pay…pay with our loss of freedom, loss of self, loss of purpose. Those who society endows with tax exemption and other protections in hopes they will stand with us, stand up for us, serve us have recently spend more money, time and effort serving their donoers, supporting the status quo, creating false hopes. Something is very wrong with this situation, and calling us consumers is not a way to correct it. Ps. I continue to live in hope… that is my way, and your way too, I think? Hope is most often ALL that we have!